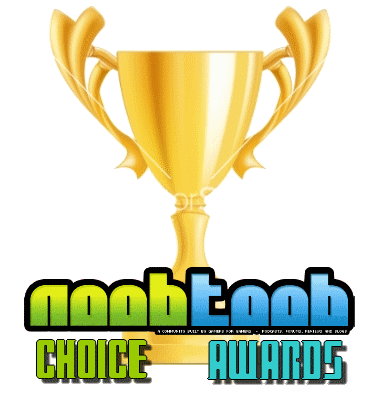 Noob's Choice Awards 2017: The Winners! And there you have it. The results are finished and these are the games we all voted for. Two categories were omitted from not having enough votes. Those being Best Handheld Game (will be removed in future years if we continue) and Best Remake/Reboot which will also be omitted from the lists. Congrats to my personal GOTY, Resident Evil 7 and to Horizon Zero Dawn for that sweep. Good work as always putting this all together Manio. I doubt anyone would blame you should you choose to throw in the towel though. We had 22 responses, so I'm surprised at the lack of variety to be honest. I'm just happy RE7 got some recognition, it was great. Bummed there was only one vote for the Dark Souls III DLC that dropped this year. Sad. Yeah, I'm glad to see Cuphead and RE7 get a bit of love. Even though I personally don't care for Cuphead, I do think it's great for what it is. I tried to stay away from Dark Souls 3 DLC for my nominations. I voted for it last time and decided to spread the love around a bit this time. How many responses did you used to get in the golden days? I'm kinda surprised you even got 22. Honestly? I only started these after the forums kinda died and Swoopes left since she used to organize them. So 20 has been the norm for the last couple of years. Unless people voted twice, but whatever. It was probably the Russians. Yeah 22 is more than I'd expect. It doesn't seem like there are 22 regulars here. That's not a ton but I would not think a three way tie would happen with that many votes.